Unique Moments Photography from Gig Harbor Washington arrives as soon as you start to get ready. We will photograph the dress and all the details. 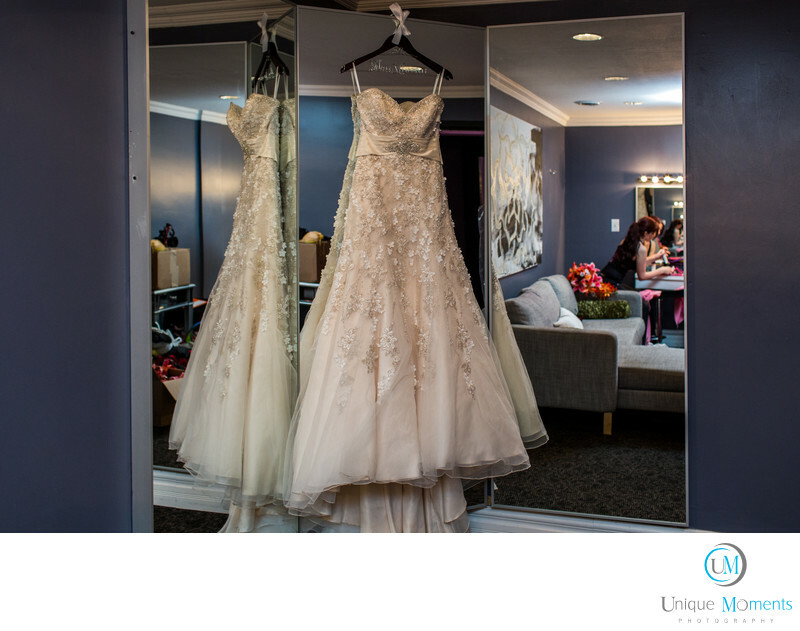 We Liked this image because the dress was emphasized while the bride was putting make up on.